A publicist for RATT drummer Bobby Blotzer has issued a press release stating that a court ruling was made on November 5 denying RATT guitarist Warren DeMartini's request for an injunction to prevent Blotzer from using and touring under the RATT trademark. DeMartini filed a lawsuit in September against Blotzer, claiming that the drummer is falsely advertising his "tribute band" as the real thing. In his October 19 declaration in reply to opposition to motion for preliminary injunction, DeMartini wrote: "After years of being mistreated by Blotzer, our lead singer, Stephen Pearcy, decided that he would rather go on his own than be subjected to more abuse from Blotzer. "I NEVER said I would not tour. In fact, I would love to tour with RATT's full line-up, including Pearcy. What I will not do is tour solely with Blotzer and replacement musicians. We have done this before and it resulted in a poor product that I am not willing to participate in. For RATT to have value, it is my position that we need to be together as the real band RATT. What makes this difficult is that Stephen Pearcy got tired of Blotzer threatening to sue him and quit. "Mr. Blotzer himself admits that my only objection was touring without the actual line-up without replacements. Blotzer stated [in] his declaration: '[DeMartini] told me he refused to tour with any musicians other than the original band members.' There is nothing in any of our agreements that allows Blotzer to find a replacement lead singer and then force me go out on tour and try to sell this as RATT. Our lead singer is Stephen Pearcy. I am not willing to be dragged out on tour with a drummer and a set of replacements." According to DeMartini's lawsuit, Blotzer held an annual WBS shareholder meeting on September 3 at Jerry's Famous Deli in Studio City, California in which he elected himself chairman of the board and president in place of DeMartini while DeMartini was elected "vice president of guitars." 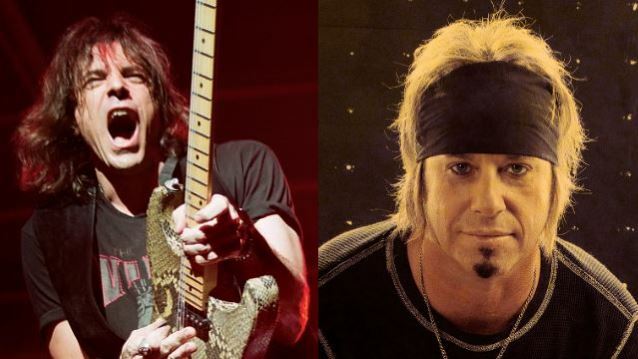 In his October 20 declaration in support of his special motion to strike DeMartini's complaint pursuant to California's anti-SLAPP statute, Blotzer wrote: "[DeMartini] cut off communication with me and would not respond to any requests I made for meetings, phone calls, and to play as RATT again. [DeMartini] also blocked me from his email and would not respond to texts. "Income from touring as RATT is necessary for the support of myself, my family, my business, and my artistic endeavors. "I felt that [DeMartini's] unresponsiveness to me, his fellow shareholder, director, and officer of WBS, his refusal to enforce the intellectual property rights of the Marks, his refusal to keep bringing the fans of RATT great music, his actions to effectively abandon the Marks, his creation of to mounting debt for WBS while not allowing revenues to be earned by WBS, and his refusal to hold regular shareholders and directors meetings as required by the WBS ByLaws was damaging the Marks, the RATT brand, our goodwill, and was reducing our visibility and the demand for our music; all things that was damaging the earning potential of WBS and the individual shareholders, including [DeMartini]. Plus WBS has close to $50,000 in debt and only a couple hundred in the bank. "I reviewed the WBS corporate documents, the Band Agreements, and California case law to determine if I had any rights to help the corporation I was a 50% owner of since [DeMartini] created gridlock for WBS where no business could be done. "Based on the WBS corporate documents, the Band Agreements, and California case law, I had a good faith belief that I could call the annual shareholders' meeting required by the ByLaws that [DeMartini] ignored. "I noticed a meeting for September 3, 2015 to attempt to get the business moving in a positive direction again. "At the time of creating the notice I had no ideas or intentions of any nominations for directors of the board of WBS; I expected [DeMartini] at the meeting. "On September 3, 2015, I was duly elected as President and Chairman of the Board of WBS, Inc. and I began moving WBS towards earning revenues again out of a feeling of duty and loyalty to WBS, RATT fans, and even [DeMartini]." In his October 20 notice of special motion to strike and special motion to strike DeMartini's complaint pursuant to california's anti-SLAPP statute, Blotzer's attorney wrote: "While [DeMartini] has slowed down over the years, some say he has suffered hearing loss which does not allow him to play the guitar as he once did... Also, Blotzer has a innate desire as an artist to continue to perform the music of RATT for the throngs of people that desperately want to see the music performed live; he is not comfortable just going gently into that goodnight. He wants to continue to rage against the dying of the light. However, for Blotzer this was a blessing in disguise as [DeMartini] had refused to put the WBS shareholders' needs ahead of his own for the entire duration of his steward of WBS. By not allowing WBS to transact business (RATT not touring), while allowing debt of the corporation to accrue without concern, not following corporate formalities when needed, not causing the WBS-owned RATT websites and social media to be updated and properly managed, not enforcing WBS' intellectual property rights. and letting the Marks fall nearly into abandonment (until recently, the Marks have not been used in commerce since January 2014) all had a detrimental effect on the corporation and the shareholders. "Blotzer's trade is being the drummer for RATT. Therefore. RATT going out on tour is necessary, not just desired. for the benefit of WBS, not just Blotzer, yet, selfishly, [DeMartini] will not allow Blotzer to earn on his trade and for WBS to pay off its debts. In sum, WBS' decline and its precarious financial position is so for one reason: [DeMartini] selfish inaction and unreasonable demands. And now when Blotzer seeks to tum things around through his protected freedoms of speech and petition, [DeMartini] files suit just because Blotzer is exercising his freedoms. "Blotzer and [DeMartini] have been the only consistent band members that executed the Band Agreements. But, Blotzer is the only band member that has wanted to consistently tour and bring great music to the fans. Since, at least 2011, [DeMartini] has refused to tour and record multiple times when the other then current members of the Band were requesting [DeMartini] to do so, and there were opportunities available for the Band. Most recently, this last April [DeMartini] emphatically refused to go out on tour even though requested to do so by Blotzer when opportunities presented themselves to Blotzer and [DeMartini]. Thus, since, at least, April 2015, [DeMartini] has been a Non-Touring Member without shareholder voting rights in WBS. Hence, as mentioned above, so long as [DeMartini] was paid his fee and his replacement was not paid above a certain amount, RATT touring with Blotzer as the only original member was given [DeMartini's] tacit blessing when [DeMartini] signed the Band Agreement and refused to tour. "Despite [DeMartini's] assertions to the contrary, the demand for RATT is seeing levels that is hasn't seen in over ten years. 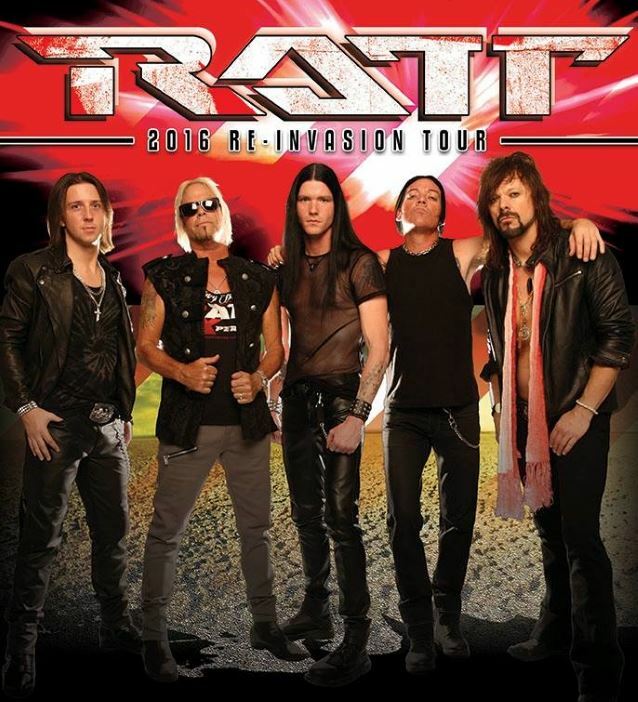 The reports from music professionals, RATT fans, and those in entertainment news are that the current line-up of RATT is a great show for fans, has performers that are excellent musicians, are creating a new 'buzz' for RATT, and, as some say, are better than the original line-up of RATT. Already, RATT is booking performances through the 4th quarter of 2016 based on promoters' knowledge and experience with this new line-up. Nothing is damaging the Marks, the brand, or the mystique of RATT. Moreover. every show that RATT plays. [DeMartini] earns a fee while just sitting at his house in Los Angeles. Yet, [DeMartini] still seeks to limit speech and Blotzer's right to judicial remedies." Pictured below: Bobby Blotzer's new "RATT"